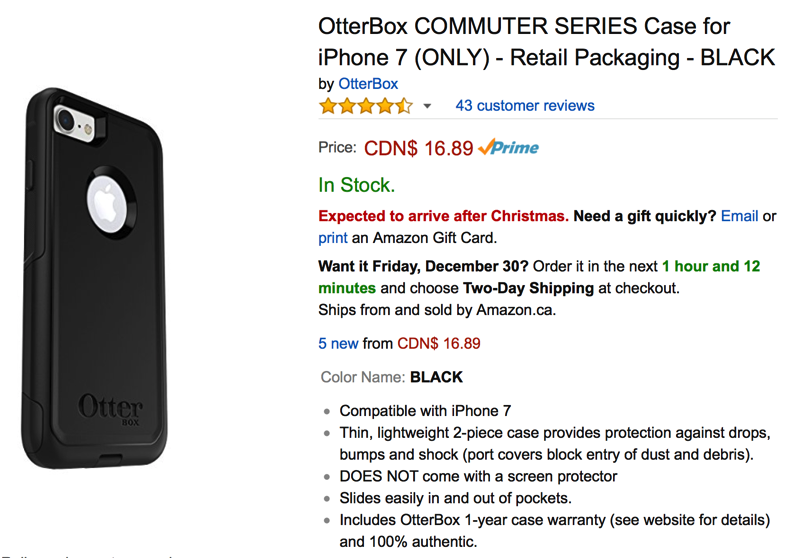 Amazon.ca has the OtterBox Commuter iPhone 7 case for sale, available for $16.89 and Prime eligible, which is 66% off its retail price of $49.99 (the current price at Best Buy). The case says it “ships from and sold by Amazon.ca”, so it’s not from a third party seller it appears. This case comes with a two-piece construction to protect your phone from bumps and drops and also has a one year warranty. Click here to jump on the OtterBox Commuter iPhone 7 case while it’s still available for $16.89.